How many times have you heard a retail executive say, “We must put the customer in the center of everything we do”? Between all the conferences you’ve attended, articles you’ve read, and internal meetings you’ve held, you may even be feeling some fatigue around the term consumer experience. Buzzwords aside, there’s never been a more important time for retailers and brands to focus on consumer experience. That’s because the stakes have never been higher. Some say we’re living in a retail apocalypse. 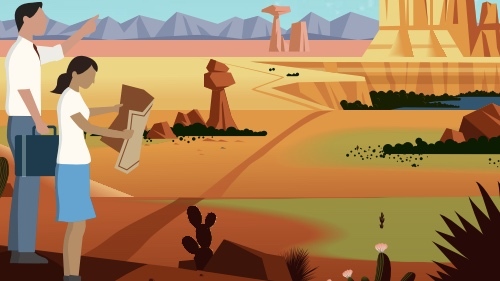 But according to new research from Salesforce and Deloitte Digital that we’re launching this week at Shoptalk, it’s actually a time of retail renaissance — and it’s time to dig deeper and discover how some of the world’s top-performing brands win shoppers for the long-term. Consumer Experience in the Retail Renaissance is based on a global survey of more than 550 traditional retail, pure play, consumer goods, and branded manufacturing leaders. The research sheds light on what elite performers do to win shoppers, and how their strategies suggest a model for success. As brands have embraced digital and expanded shopping options, they’ve amassed an untenable excess of technology. Surveyed brand leaders say they maintain an average of 39 disparate front-end systems to manage consumer engagement. This includes point-of-sale, mobile, call center, ecommerce, email marketing, social, and content management. That’s a lot of open tabs and potential for crossed wires. As a result, the consumer experience — particularly at the top of the marketing and sales funnel — is extremely disjointed, according to the survey. Brand leaders rate their biggest consumer experience challenge as engagement and discovery (32%), followed by awareness and acquisition (24%)." Tweet this: Brands use an average of 39 systems to manage consumer engagement. When we look at elite performers, we see that they focus on data at nearly 2x higher rates than underperformers across all areas, on average. Elite performers are brands that reported a revenue increase of at least 10% in the past fiscal year, whereas underperformers’ revenue has remained flat or declined in the past fiscal year. Brands struggling with data would do well to emulate elite performers in prioritizing data management and access. For example, 70% of elite performers are agile enough to quickly respond to consumer demands and insights, vs. just 37% of underperformers. Similarly, 72% of elite performers continuously gather information on consumer expectations, trends, and feedback, vs. 54% of underperformers. In this new world of retail renaissance, it’s clear that data separates those that excel from those that fall behind. A 50% Increase in Data Scientists, But Can Brands Support Them? Surveyed brands across the board plan to employ nearly 50% more data scientists over the next three years. Demand for talent is high, but brands shouldn’t rush to hire an excess of data scientists without the infrastructure and processes to support their talents. Tweet this: Brand leaders plan to hire 50% more data scientists over the next three years. Governance: 68% don’t have clearly defined roles and governance for managing consumer data. Agility: 63% don’t respond to consumer demands and insights in an agile manner. Security: 54% don’t have rigorous compliance and security to monitor and protect consumer data. 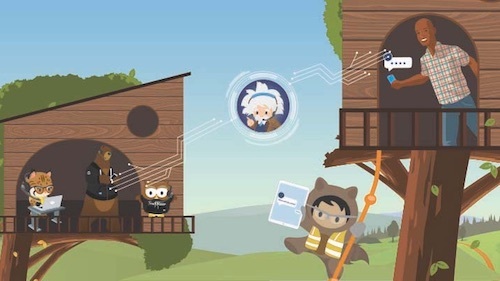 Actionable consumer data in the hands of headquarters and store personnel is nothing short of a brand’s superpower, as it enables companies to know shoppers in the moment and grow intelligence with every step. While data scientists are certainly valuable to retailers, hiring more data scientists is just a band-aid for the bigger problem of prioritizing data access and actionability. That should be the first order of business, followed by hiring data professionals. The potential business impact of AI is massive, but adoption rates are low today. 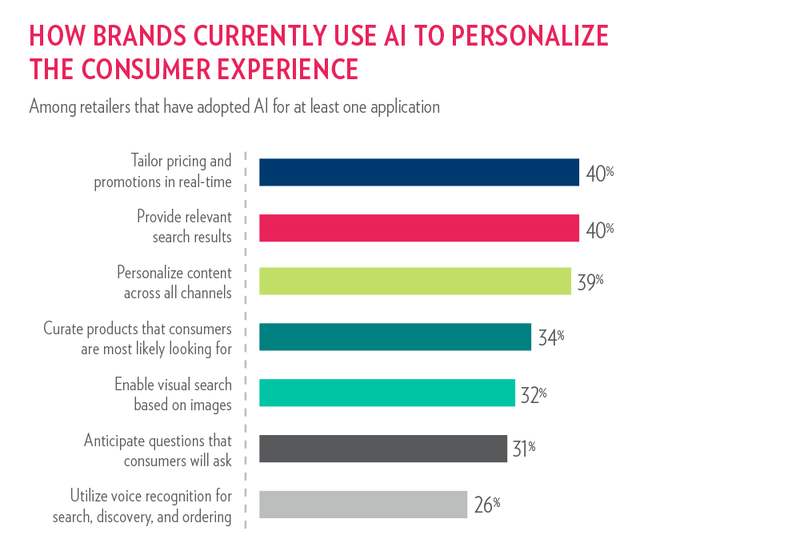 On average, just over one-third of brand leaders have adopted any given AI use case, with more popular applications in tailored pricing and promotions and relevant search results, as shown here. AI areas to watch in the future include enabling visual search based on images (32% of brand leaders using AI are doing this today) and using voice recognition (26% are doing this). Why isn’t AI used more often? Adopting AI can be complex, especially when underlying data is messy. Brand leaders’ investments in AI promise to pay big dividends in the future. For example, even though only 7% of visits to ecommerce sites today include engagement with AI-powered product recommendations, those visits drive an outsized 26% of revenue. 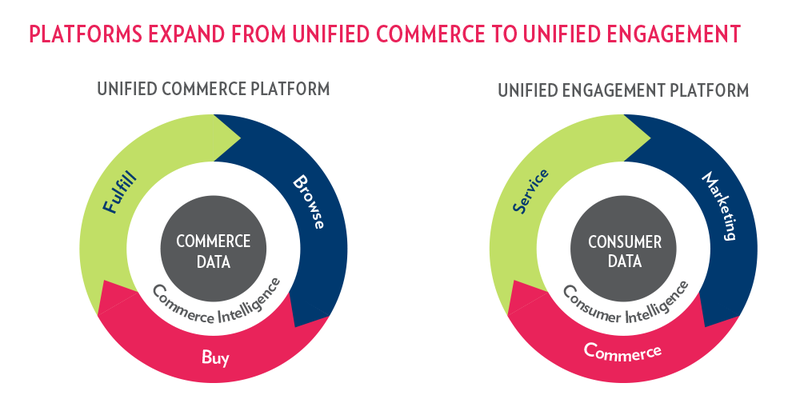 Unified commerce initiatives have risen in importance over the past few years, given the disparate nature of the technology ecosystem, and the game-changing benefits a unified approach brings to both consumers and brands. Moving forward, leaders will aim to unify not only their technology infrastructure but engagement across the entire consumer lifecycle. With unified commerce, goals were focused on inventory and transactions. Conversely, unified engagement centers on the consumer and interactions, as shown in this chart. An overwhelming majority of brands are leaning toward this type of consolidated platform to better orchestrate and manage consumer marketing, commerce, and service data — all to make intelligence more actionable across touchpoints. Two-thirds of survey respondents currently have an active and funded initiative in play. 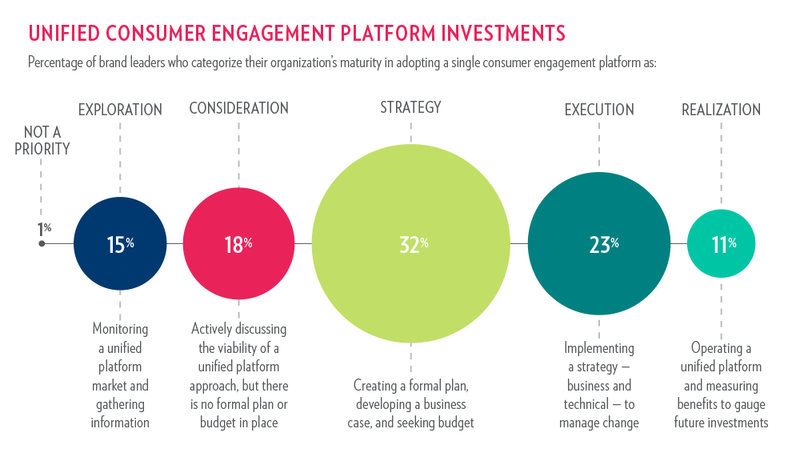 Specifically, 32% are creating a unified engagement platform strategy, 23% are executing this strategy, and 11% are realizing benefits from this strategy. Remarkably, only 1% say it’s not a priority.Among elite performers, this trend is even more pronounced: this group is 3.2x more likely than underperformers to be executing a strategy for a single consumer engagement platform. Tweet this: Elite performers are 3.2x more likely than underperformers to be executing a strategy for a unified consumer engagement platform. 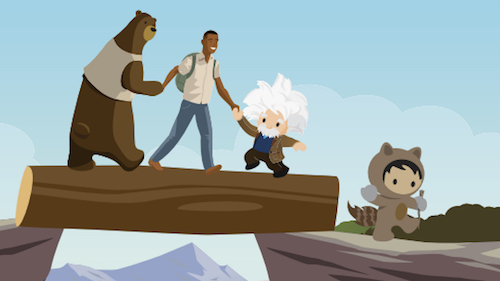 We’re seeing a massive shift in the industry toward unifying around the customer. This transformation is just getting started. 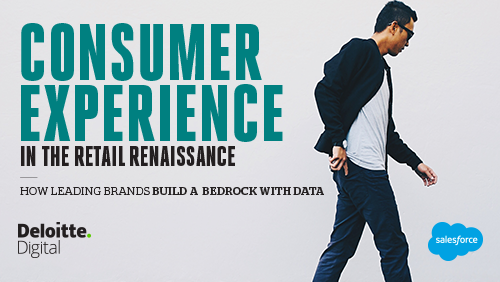 For more data and insight into the next generation of consumer experience initiatives, download the new report from Deloitte and Salesforce: Consumer Experience in the Retail Renaissance.